My ancestor, Matthew A Gaston, was listed as a steamboat pilot in the 1850's and 60's in Mobile, Alabama. Is there any place I could get more information on him? Does the Coast Guard keep a list going that far back? Editor's note: The Fred Way Directory lists the Ralph Hicks as a gasoline powered sternwheel pleasure boat, originally named Albermatla, built in 1902. The owner was Captain Jeff Hicks, of Pine Bluff, AK, who only owned the boat for about ten years, when he died following injuries in a car accident. After that, the boat changed hands, finally to be acquired by the Kansas City Bridge Company, and cut down to a single deck for towing. Her demise came in 1944, when she was beached on the St. Louis wharf, and was subsequently dismantled. If anybody can supply photos or additional info. on the Ralph Hicks, we will post it here. Editor's note: More information from another person connected with the boat! I ran across the two photos attached to this email in an old scrapbook of my parents and then I googled "Ralph Hicks" to see if I could find anything out about this boat when I got a hit on Steamboats.com. I see there is/was someone looking for information and a picture about the boat but I could not figure out how to post the picture to your site and reply to that person's email. Can you do it for me, please. The photos were taken near Watson, Missouri in the 1930-1940 time frame. Other photos near the Ralph Hicks photos in Mom's scrapbook were dated 1945-1946 but I noticed from the write up at Steamboats.com that the Ralph Hicks was dismantled in 1944. My father, Virgil Johnson and my grandfather, Charles Hays, both of Watson, Missouri, worked on the Missouri River. 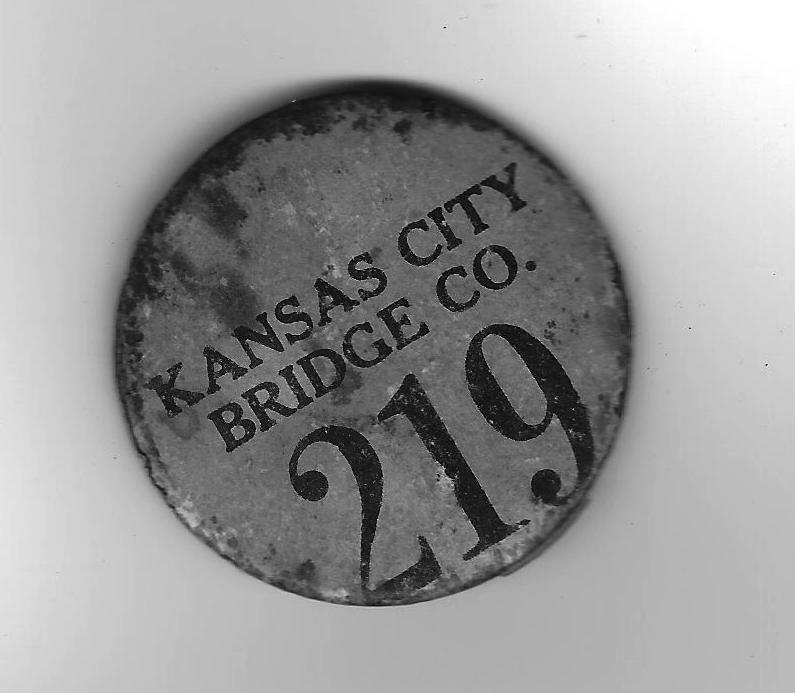 I also know that my Dad worked for the Kansas City Bridge Company which is the company mentioned in the previous posting. I've attached a picture of Dad's pin that I guess he wore when he worked on the river. I don't know much else other that my Mom used to say that working on the river was hard, dangerous work but back then jobs were hard to come by and the men did whatever they could to make a buck and feed their families. I appreciate the person who posted the information about the Ralph Hicks because I knew nothing of the boat that Dad and my grandfather worked on. Many thanks. Disclaimer: If you plan to go for a cruise, check with the company ahead of time. Some require reservations. The list is up to date, but please send us the link if you find any boats that have moved, or are not on the list. 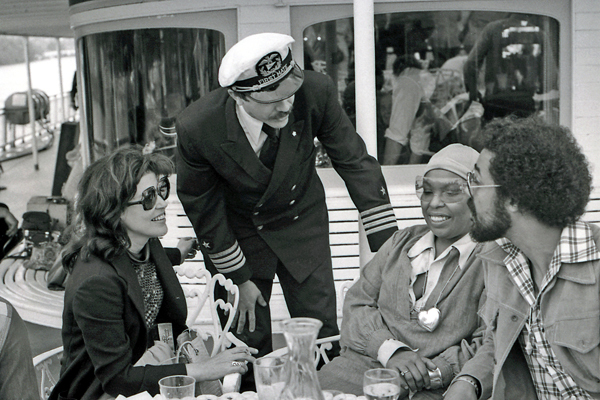 Wanted to share this photo I took of Betty Blake, Gabe Chengery, Roberta Flack and friend. Event was The Great Steamboat Race of 1976. There are many other of my photos of The Delta Queen and The Mississippi Queen on my Flickr site. Ambassadors International Inc., wrapped up its bankruptcy case last week by selling its assets—including the riverboat Delta Queen—to TAC Cruise, an affiliate of Xanterra Holding Corp, which runs concessions and activities at national and state parks. The court approved a $39 million cash offer by TAC over an earlier bid by Whippoorwill Associates Inc., White Plains, N.Y., a private investment firm with a 22 percent stake in Seattle-based Ambassadors. Whippoorwill had agreed to provide $10 million in new financing under a debtor-in-possession credit arrangement. 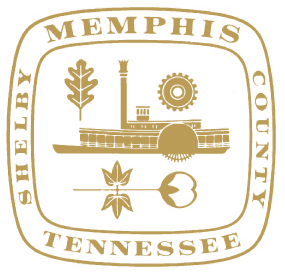 John Waggoner, President and CEO of the Great American Steamboat Company said, "Anyone that has a city seal with a steamboat in it, ought to have the biggest and largest and grandest and most opulent steamboat ever built calling Memphis their home port." To this end, he has announced that Memphis will be the new home of the American Queen. The Queen will be refurbished and put back into the cruise business in less than a year, expected spring 2012. We offer our prayers for assistance to our neighbors in dear Alabama and other states affected by the weather disasters. The American Queen is under contract for $15.5 million to a company led by John Waggoner, CEO of HMS Global Maritime based in New Albany, Ind. "We're still working on putting all our financing together and hope to launch next year some time," said Waggoner, who also heads American Queen Steamboat Co., the HMS Global subsidiary that's buying the vessel from the Maritime Administration. The American Queen has been idled since the 2008 shutdown of Majestic America Line. Waggoner expects the vessel to again sail the inland rivers, which have seen little overnight cruising since Majestic America ceased operations. I'm researching an old story, and part of the story involves a packet boat that operated on the Ohio River during the Civil War. It was named the River Queen. I know there have been other boats with that name in later years. And one associated with President Lincoln and General Grant during the Civil War, somewhere on the east coast. But this one would have operated on the Ohio River. Looking for any information as to whether there was really a boat on the Ohio, at that time with that name. It's mentioned in an old Civil War treasure legend that I'm researching for a short story. Editor's Note: There is only one River Queen mentioned in the Fred Way Packet Directory, and it could not be the same boat. Perhaps the name River Queen is short for something else. Can anybody help with this steamboat mystery? American Cruise Lines has announced that its new boat will be named Queen of the Mississippi. The boat is two months ahead of schedule at the Chesapeake Shipbuiding Corp. in Salisbury, Maryland. The company unveiled the first illustrations of the ship's interiors. Charles A. Robertson, president of American Cruise Lines, said his company wants to take steamboating to the next level, "offering a riverboat cruising experience like never before." The ship's decks will be private balconies, instead of public walkways. The company's website is http://www.americancruiselines.com. 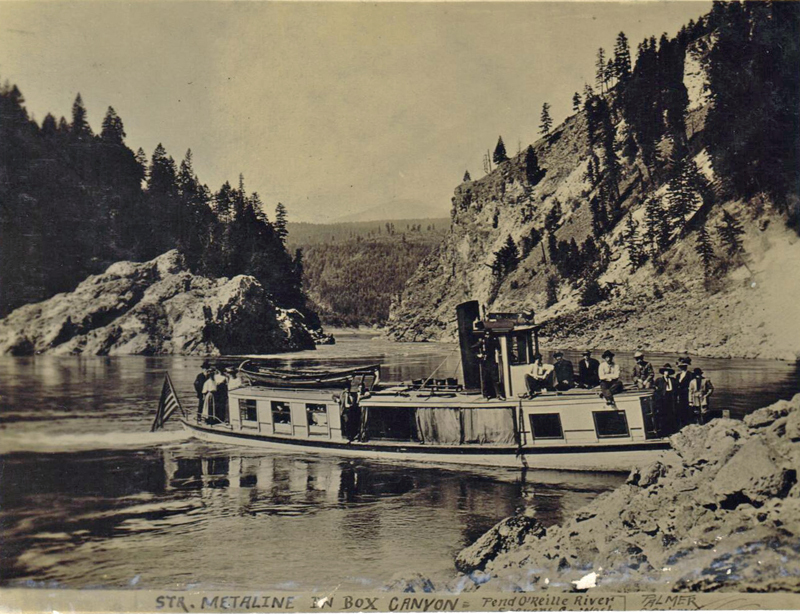 For the last several years, Steamboats.com has fielded comments on a raging controversy over old photos of the Metaline steamboat in Box Canyon. The issue revolves around whether it could actually be Box Canyon, since the current seems to be flowing in the wrong direction. 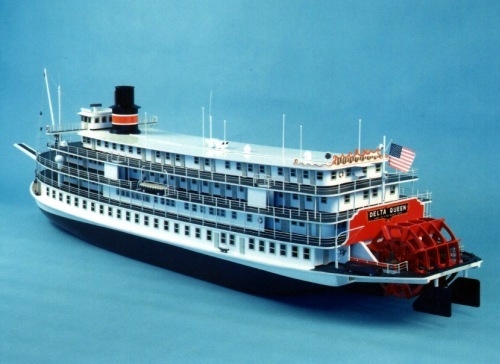 A new article by Sean D. Hamill appeared yesterday in the Pittsburgh Post-Gazette and states that the American Queen is in the process of being sold for $15.5 million to the Great American Steamboat company (see http://greatamericansteamboatcompany.com). The reporter speculates on the fate of the Delta Queen, but read the article for yourself and make up your own mind. It does not offer a any new information about the Delta Queen or Mississippi Queen. Nevertheless, let's continue to expect something good to happen and maybe the rivers will come up to meet our expectations. For further analysis and implications, come back soon. 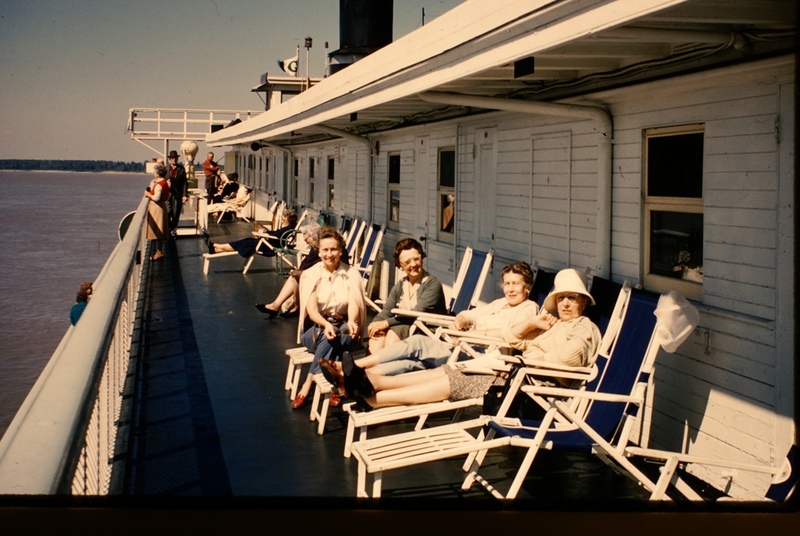 Comment: Looking for Maureen, Pat or Carole Macker that use to work on the Mississippi Queen. If you find them could you please tell them to look me up on Facebook under Susan Tyler. Thanks! It is with pride and regret that I send this message. The activity of 'Save the Delta Queen 2010' has come to an end today with the return of the deposit and cancellation of the purchase agreement. Pride, because while we won't neccesarily be the group that is operating the Delta Queen going forward, we have, I believed advanced the cause of the Delta Queen again cruisng the Rivers of America. There is no fault to be found with our efforts, certainly not with our partner, Kevin Kelly, owner of Houmas House Plantation. This visionary saw the Delta Queen as an enhancement to his fabulous plantation, but when offered the opportunity to assist in the project to have the venerable steam boat sail again, he embraced it with enthusiasm. Be sure to visit Houmas House, whenever you have the opportunity, it is not to be missed. Regret, because we didn't have the ability to take our project to fruition. There is no shame in not succeeding in a good cause. We understand there is another buyer, and while we don't know their identity or can for certain know their plans, we are anticipating that these will include cruising. We will, of course provide them with any support they request and that we can provide. They have our sincerest best wishes as they move forward to have the Delta Queen cruising again. To those many who supported our efforts, thanks. I encourage you to support the new owners, especially by booking river travel on the Delta Queen. PHOTO BY GREENE LINE STEAMERS, INC.
Have you ever heard of a steamboat called "La Belle Creole"? I am looking for any information on this steamboat. I was reading the Obit of one of my late relatives and it says his father was the owner of this steamboat. Brieugne is the last name. I think his dad's name was Hippolite. The Article was dated 1905 so I think the ship was in service some time before that. I was in an Antique Store in Ohio. In the the store was a model of the Creole Queen that was built in 1983 for the 1984 World Fair. Built by someone from Alabama, i think. At least that is what the note card said. Didn't know if maybe you would be looking for that? Or any kind of History items? It was For Sale. 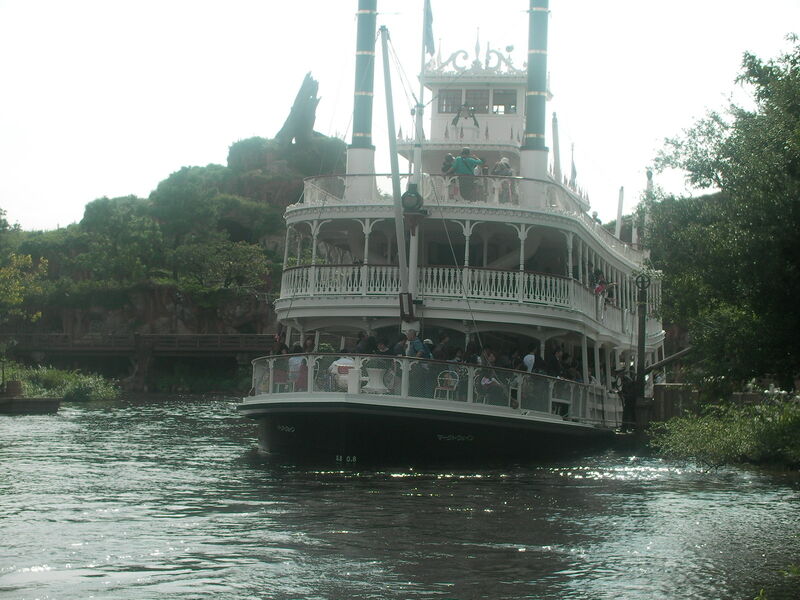 message: The Mark Twain riverboat is a cruise in a large boat through Tokyo Disneyland's "Rivers of America." The authentic design captures the feel and the atmosphere of a turn of the century Mississippi River boat. Editor's Note: D.TTG took this photo in October 2010 in Tokyo Disneyland. This Disney "kid's nursery" steamboat print must date from around 1936 since the character design on the animated characters goes back to the early "Silly Symphony" cartoon shorts. Elmer Elephant, Clarabelle Cow, one of the Three Little Pigs, one of Mickey's nephews, two of the Big Bad Wolf's kids and the Tortoise and the Hare and others supporting players on the main deck. In the pilot house Mickey Mouse at the wheel with sweetheart Minnie and an early version of Goofy before the Disney artists began making him look less gnarly. At the bow, faithful dog Pluto watches a hazard to navigation, a floating log that Donald Duck is yelling up a warning about to Mickey. 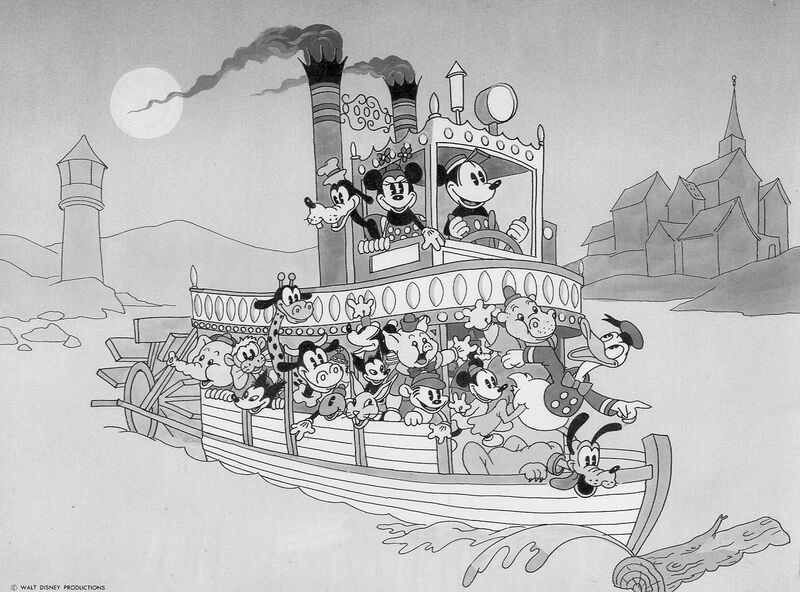 This may have been inspired in part by Mickey's first sound cartoon STEAMBOAT WILLIE (1928) and it anticipated the building of the MARK TWAIN steam sternwheeler for Disneyland (1955). Walt was from Marceline, Missouri, and he obviously had a fondness for Mark Twain and riverboats. Too much pink and purple in the color scheme which was applied over pen and ink with watercolor and opaque paint used on moon and smoke from smokestacks. Print is 9 1/2 X 13 inches. This actually looks better in black and white, will send a version of that separately. The Disney piece makes an interesting companion for the Jay Ward / Rocky and Bullwinkle cartoon boat. message=Searching for info/history on John Claycomb. River Boat Captain out of New Orleans, La. from the 1800-1900 era. Editor's note: If you have information on this riverboat captain, please send it to Steamboats.com and we will convey the information to JoAnn. We have located information about Captain Claycomb in the Fred Way Packet Directory, in connection with three boats: Rose Hambleton, Glide No. 3, and Linnie Drown. Click here to buy the directory at Amazon.com. Each time the Delta Queen landed at the Louisville, Ky levee, my father would take to see her. In 2007, my wife and I went on the Memphis to Cincinnati cruise. In 2008, we took the Nashville to Pittsburgh cruise. We have spent a night on her in Chattanooga, but I yearn for this political deadlock to end and have her restored to the proper function of steaming up and down the Ohio/Mississippi rivers without restriction! "Let us, you and me, pray for peace and let us make our hearts fit to accept it when it comes. Let us make our intellect, and our soul, and our will and our feeling ready to receive it and embrace it even before it comes. Let us in the stillness of our own soul go back to that ineffable Presence which is Peace and proclaim It even in the midst of confusion - that peace which is the power at the heart of God." message=Steeamboats.com is a fantastic resource and website! If anyone in looking for information on current research being done on the Yukon River steamers of the Klondike Gold Rush days, visit the Institute of Nautical Archaeology's website for info and links. November 19, 2010 was the deadline for submitting proposals to Ambassadors International, Inc., to purchase the Delta Queen. Approximately five parties bid and the company said they would announce their decision after the holidays, but so far we have not heard a peep. They may choose among the bidders, or they may decide not to sell at this time. Several of those bidding have indicated they would pursue legal exemptions to allow the boat to return to the rivers. That would be a miracle, but it is a worthy dream. "Faith, courage, optimism, looking forward, bring us new life and more life. Futility, frustration, living in the past are not only characteristic of 'old age'; they contribute to it." - Maxwell Maltz, M.D., F.I.C.S. 3. The New York Times is read by people who think they should run the country and who are good at crossword puzzles. 5. The Los Angeles Times is read by people who wouldn't mind running the country—if they could find the time—and if they didn't have to leave Southern California to do it. 6. The Boston Globe is read by people whose g-g-gparents started the country. 7. The New York Daily News is read by people who aren't too sure who is running the country. 8. The New York Post is read by people who don't care who is running the country. 10. The San Francisco Chronicle is read by really smart people who should run the country. 12. The Minneapolis Star Tribune is read by people who have recently caught a fish and need something in which to wrap it. Editor's Note: the same joke in 2000 had lines 1-5; 6-12 added by someone recently and it is making the rounds now. Turn that smile upside down and "don't be a jerk" it's Christmas! The new 2011 Delta Queen calendar is going to print this week. John Weise, publisher, said: "I only plan to print seventy-five of them this year so I can keep the cost from going up (to cover unsold ones)." "Weise" advice: "Get your order in ASAP because once they are sold out there will be no more available." The cost will remain at $15 per calendar, which includes shipping and handling. THE FINE PRINT: This year's calendar only includes photos taken before 2000 with the earliest being in 1988. John lives in Cincinnati, and is one of the top Delta Queen photographers. Some of his collection is displayed on Steamboats.com, and John is a regular contributor. His most recent article was the photo safari, GPS and the pursuit of the Cincinnati Belle. by Jill Esbaum, illustrations by Adam Rex. A 120-page oversized paperback with about a hundred historic photos of steamboats, people, and towns where the steamboats roamed. Click on the book title to buy it at Amazon.com. 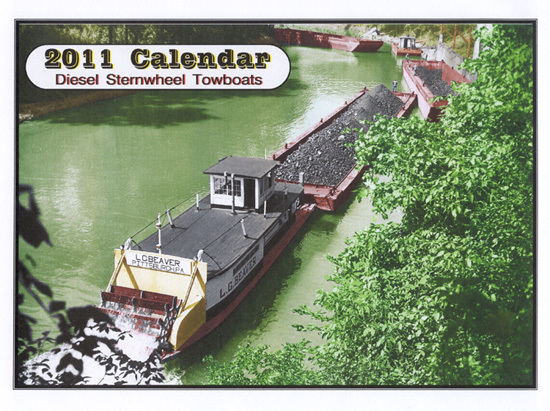 This is the Historic Sternwheeler Preservation Society's tenth calendar, with all proceeds going toward the maintenance of the sternwheel towboat BARBARA H.
Red Wing Visitors & Convention Bureau Executive Director Kathy Silverthorn signs petitions every year hoping to get the Delta Queen's historic paddle wheel churning again. For now, the steamboat sits idle in Chattanooga, Tenn., where it functions as a floating hotel. The boat stopped traveling the Mississippi in 2008, after U.S. Rep. Jim Oberstar, D-Minn., turned down an exemption in the federal Safety of Life at Sea Act governing the maximum number of guests allowed to stay overnight on the Delta Queen. Until then, the vessel had received exemptions allowing its passengers - up to 174 people - to spend nights aboard it. Merchants along the Mississippi, including Red Wing, lamented the end of the boat's tenure and the business its passengers brought to the river towns. Two other steamboats that had visited Red Wing, the American Queen and Mississippi Queen, also ceased operation in 2008. "It was a huge loss," said Dori Mann, manager of the Red Wing Shoe Co. store. "They brought so many dollars into town." But momentum to get the Delta Queen moving again appears to be picking up steam, after Oberstar's loss at the polls in November. Other congressional leaders, including presumptive House Speaker John Boehner, R-Ohio, have expressed support for Delta Queen. On Nov. 19, the boat's operators submitted a letter of intent to purchase the boat from the vessel's owner, Ambassadors International. Other potential buyers looking to return the Delta Queen to river travel also have emerged. Mike Longaecker reports for the Red Wing Republican Eagle, which is owned by Forum Communications. Read original, click here. First published in 1856, the new edition by Land Yacht Press includes a new introduction. A 120-page oversized paperback with about a hundred historic photos of steamboats, people, and towns where the steamboats roamed. Hardcover, 128-page photo essay on six steam-powered paddlewheelers operating on the Mississippi River System in the twentieth century. "Hey Rocky! Watch me pull a rabbit out of the hat!" 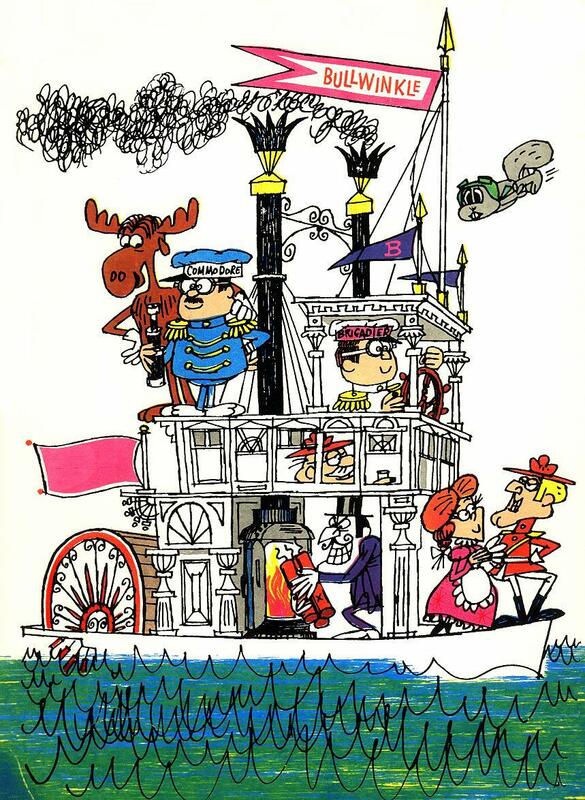 Attached is a scan of a printed ink and color drawing of a fanciful steamboat for Rocky and his Friends aka The Bullwinkle show produced by Commodore Jay Ward and piloted by Director Brigadier Bill Scott (I'm pretty sure who that's supposed to be) with Bullwinkle Moose, Rocky the Flying Squirrel up top also. On deck Inspector Fenwick drinking on Texas deck. Below him is his daughter admiring Dudley Do-Right of the Mounties while Snidely Whiplash prepares to blow up the boat. I have this one matted and framed, around 11x14 size. Boat resembles a Rose Parade float, this could 'a been concept art work for such a thing. Who knows? Perhaps the print was enclosed with Christmas cards from Jay Ward's Studio back in the '60's. 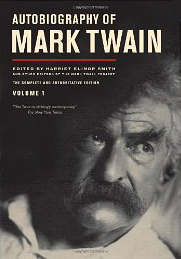 The University of California, Los Angeles Mark Twain Project has launched the first of three volumes of previously unpublished parts of the Mark Twain autobiography. Click this link to buy a copy at Amazon.com. Makes a great gift for that historian in your life! Karen "Toots" Maloy has extended the deadline to order her hand-crafted Delta Queen holiday cards. Order soon, as the holiday season is already here. Click here for ordering information. This photo just turned up on the Internet, taken circa 1963, unknown photographer, found this at Adventures of the Black Gang. My Google Alert for "Delta Queen" pulls in blogs, news, and other sources. Enjoy! Hi all - people get mad at me when I say naive and idealistic things like "we are all in this together" or "we need to act in a way to deserve the boat." But it is true, and now that the Delta Queen process has gone into deliberation, it is time for all of us to pray. Not bicker and argue. Whoever ends up with the boat will still have to live in the same world with the rest of us. It is up to a divine will now what will happen, and for those of you of the atheistic bent, it is up to a force that dwells in all human hearts, or in the collective heart of all of us. The Delta Grassroots Caucus endorses a new effort by the Save the Delta Queen 2010 coalition to buy the historic steamboatfrom the current owners, Ambassadors International, Inc.and put het back in operation carrying passengers on the Mississippi River and its tributaries, including the Ohio, Missouri and Arkansas rivers. Currently the 84-year-old steamboat is serving as a floating hotel in Chattanooga, Tennessee. Spearheading Save the Delta Queen 2010 are Robert Rintz, former Louisiana State Tourism Director and former Senior Vice President of Sales and Marketing for the Delta Queen Steamboat Company, and Vicki Webster, director of the Save the Delta Queen coalition based in Cincinnati. Captain Clark "Doc" Hawley, former Captain and pilot of the Delta Queen serves as Captain Emeritus. The Delta Caucus wholeheartedly supports their new effort. The Delta Queen was the last traditional steamboat carrying overnight passengers on America's inland waterways. For that reason she was designated a National Historic Landmark. In 1966, she was inadvertently caught in the technical provisions of the Safety of Life at Sea Act, which said that a vessel operating in US waters could carry no more than 49 passengers. The act was designed to cover oceangoing vessels. For 40 years, Congress recognized that the law was intended to cover oceangoing ships, not boats that operate on rivers and thus are always close to the shore, and therefore established an exemption for the Delta Queen in 1968. The exemption was renewed nine times, in virtually every case by near-unanimous votes in both the House and the Senate. The last exemption expired on October 31, 2008. The boat's owners chose to lease her as a floating hotel, rather than operate her with 49 overnight passengers or continue efforts to reinstate the exemption. Now the company is soliciting bids from potential buyers, and Save the Delta Queen 2010 has responded. "We enthusiastically endorse this renewed effort to return the historic Delta Queen to the Mississippi, Ohio and other major rivers of America's heartland, primarily because because the vessel is a National Historic Landmark and has an exemplary safety record," said Caucus director Lee Powell. "In addition, while the amount of money the vessel's travels used to bring to the region is relatively small, it did bring some tourist dollars to economically distressed communities along the river like Helena-West Helena, Arkansas, New Orleans, Louisiana, up through Missouri and east along the Ohio, and those areas can use all the economic help they can get," Powell said. Rintz said, "The Delta Queen is the last remaining example of the hundreds of steamboats that once traversed our heartland, weaving our nation together in the process. We intend to make her live again so that future generations have the chance to travel on this quintessentially American treasure, and so that river towns in 17 states can benefit from the revenue she brings to their communities." Kevin Smith of Helena-West Helena, former state senator and aide to former US Sen. Dale Bumpers and Bill Clinton when he was Arkansas' governor, said "The Delta Queen has a perfect safety record, and as far as being a historic icon it is every bit as much a landmark for the heartland of America as the Statue of Liberty is for New York. 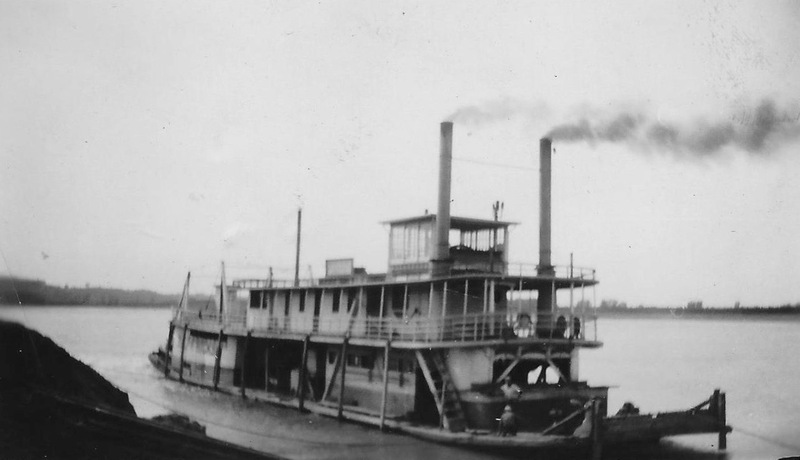 Steamboats helped settle this country, and the Delta Queen is a great way for people from all over America to see the great natural beauty of our region." Smith said "Our river communities in the Delta have many businesses that benefited from the Delta Queen and other steamboats that brought tourists to our river fronts, door steps and Main Street. In Helena-West Helena we had antique stores, restaurants, blues musicians, and many others who would benefit when a tour service with three or four Greyhound buses would pull up to see the elegant old Southern houses, the heartland of the blues music tradition and the community that Mark Twain praised in Life on the Mississippi as 'one of the prettiest situations on the Mississippi.'" Desha County Judge Mark McElroy said "The Delta Queen is the flag ship for the whole Delta region, and it would tremendously lift our spirits to see her plying the waters on the Mississippi again." This track was recorded last year by local Cincinnati musicians The Family Secret. The song, entitled "God Save The Queen," is a beautiful mountain romp about the legendary steamboat and her subsequent departure from Cincinnati. Chattanooga, Tenn. - Leah Ann and Randy Ingram, current operators of the Delta Queen announced that they have submitted a Letter of Intent to purchase the vessel from Ambassadors International. The vessel is currently berthed in Chattanooga, Tenn. where it is operated as a hotel. The Ingrams noted that their ultimate goal is to make the Delta Queen ready to once again sail America's rivers. Leah Ann Ingram said, "We would like to return the Delta Queen to the rivers as soon as she is able but understand that is a monumental task. Having her open to the public as a revenue generating hotel while those repairs are made is critical to any successful plan to put the boat back in service." The Delta Queen has been very well received in Chattanooga. In fact, a recent evening to honor the steamboat was hosted to garner attention and support for future efforts. Chattanooga Mayor Ron Littlefield offered a joint resolution from the city and Hamilton County that gave strong support to preserving the vessel and maintaining her historical designations. The Mayor offered praise to the goal of making the Delta Queen ready for travel on America's waterways. Mrs. Ingram noted that success not only comes from a dedicated staff, but equally dedicated volunteers who provide countless hours in repairing and maintaining the boat. She said, "This is a team effort and we are honored and humbled by those former crew members and guests who come aboard on a weekly basis to take care of this legendary vessel. We hope that some of the people who have indicated their interest in purchasing the Delta Queen will join with us as we all have the same goal. In fact, nothing would please us more." Both Ingrams noted that any option that takes away from the boat's rich history or changes her integrity could put her historic designation in jeopardy. "We want to preserve this piece of maritime history for generations to come and would welcome the help of anyone who shares our views." Yesterday's news about the Delta Queen took the steamboat world by surprise. The press release stated that investors planned to buy the Delta Queen to "put her back into full operation carrying passengers on the Ohio and Mississippi River system" (see full press release, below). The news appeared in USA Today, kypost, Cincinnati Enquirer, WCPO (ABC) TV, and other outlets. The new Facebook page had 122 fans by the end of the day. More importantly, the press release led to developments within the steamboat community, creating chaos, but also a sense that it is possible to work together for the benefit of the boat. CINCINNATI - Save the Delta Queen 2010 today announced plans to buy the Steamboat Delta Queen from her current owners, Ambassadors International, Inc., and put her back into full operation carrying passengers on the Ohio and Mississippi River system. Currently the 84-year-old vessel is serving as a floating hotel in Chattanooga, Tennessee. The Delta Queen was the last traditional steamboat carrying overnight passengers on America's inland waterways. 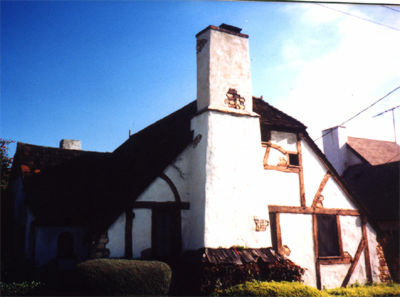 For that reason she was been designated a National Historic Landmark. In 1966, she was inadvertently caught in the technical provisions of the Safety of Life at Sea Act, which said that a vessel operating in US waters could carry no more than 49 passengers. Recognizing the law was intended to cover oceangoing ships, not boats that operate on rivers, within yards of the shore, Congress established an exemption for the Delta Queen in 1968. The exemption was renewed nine times, in virtually every case by near-unanimous votes in both the House and the Senate. The last exemption expired on October 31, 2008. Spearheading Save the Delta Queen 2010 is Robert Rintz, former Louisiana State Tourism Director and former Senior Vice President of Sales and Marketing for the Delta Queen Steamboat Company. Captain Clark "Doc" Hawley, former Captain and pilot of the Delta Queen serves as Captain Emeritus. Steamboats.com is awaiting a press release that may be the news we are looking for on the Delta Queen. Tune in later today for updates. In the process of starting up the blog feature of this website, I also updated some of the old photo displays. Web pages seem to wilt with age and need dusting and cleaning once in a while. Here is an old page updated: Steamboats in Russia. This morning I had a strange dream that a few of the jpgs on my site included Confederate flags that kept popping up. They came from people who contribute photos and stories to the site and I could not delete the flags, no matter what I did. When I woke up, I felt inspired to write an editorial about symbolism. First, let me clarify where I am coming from. I am a Los Angeles liberal, born in Encino, and have lived in Studio City, Sherman Oaks, Van Nuys, West L.A., West Hollywood, Silver Lake, and Los Feliz. The media called my father a "cool cat from Hollywood" in 1966, when his business partner Richard Simonton asked him to save the Delta Queen. 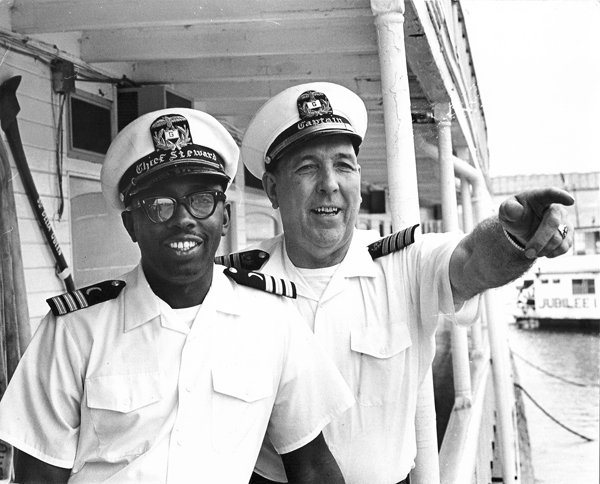 My father not only helped save the boat, but he brought racial integration to the Delta Queen. He designated black officers and told the crew that if anybody didn't like it, Capt. Wagner would pull over to the shore and let them off. Who runs steamboats.com? Me, myself, and I, now located in Arizona, but still very much a staunch liberal. As the webmaster, my rant on symbols has to be this: do you want our symbols to fight? I could post a Confederate flag for you and a peace sign hippy flag for me, and then we could all lose our moral bearings over a war of symbols. Even not knowing what the other person sees in each symbol. Alternatively, we could bring out our symbols and have a good old fashioned sit-down and talk to each other about what our symbols mean to us. I am ready to have a conversation like that. I am sympathetic to the South, and have seen the best of the South, having traveled on the Delta Queen seven times beginning in 1967, and having visited Florida about four or five times. So, for a Northerner (actually Westerner), I have a deep affection for the South, and my many Southerner friends. What does the Confederate flag mean to you? What does the peace sign hippy flag mean to you? Are you willing to have a dialogue? Sometimes it feels as though our country will explode with anger and division. Is America on the road to another Civil War? Will our country be written off as a grand experiment that failed, ending in strife and poverty, ultimately to be ruled by cockroaches or a corporate plutocracy? Or shall America prevail? Our divisiveness prevents peaceful living. Ultimately, we must reconcile our differences and learn to live harmoniously. Instead of hating differences, we may learn to love differences. The future will be like an orchestra - we need the flute and the bassoon. If we all had to play the same instrument, the music would be boring. I invite a dialogue on symbols that divide us, and it is safe here because we all have at least one thing in common: we love the old boats. Looking for that unique and practical holiday gift, or a great collectible? Our 2011 Calendar is Available Now! 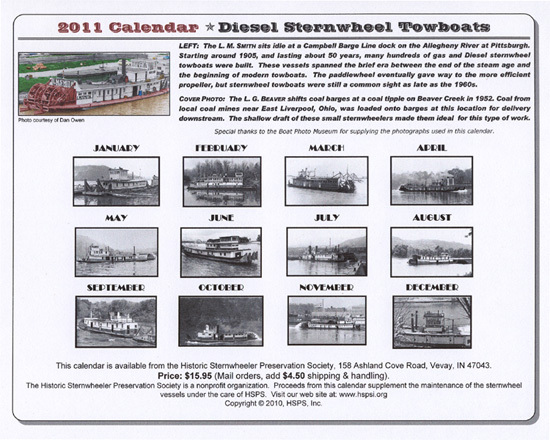 HSPS, Inc (a 501.c.3 non-profit) publishes a Steamboat calendar each year, with proceeds going toward maintenance of the 1923 sternwheel towboat BARBARA H. Our 2011 calendar features early photos of sternwheel towboats. The calendar contains 13 large photos printed on heavy card stock, suitable for framing. New exhibit: steamboat photographer John Weise follows the Belle of Cincinnati from Tell City to Chattanooga with his camera and a GPS device. Go to online steamboat museum. On Thursday, November 5, a team of engineers powered up the Delta Queen engines and turned the forty-four ton paddlewheel. The boat is functioning as a hotel on the Chattanooga waterfront. The Great Steam-up, as it was called, was open to the public, $8 for adults and $4 for children. On November 5, the Chattanoogan published photos of the event, see chattanoogan.com. Hello - I've been doing a lot of research about Henry Becker and the Centerville & Southwestern 2" scale Miniature Railroad, in Roseland, NJ (1938-1972). As part of that search, I've been trying to determine what happened to his little tiny 4 wheel switcher #1500. As far as I have been able to determine, that engine left the farm in Roseland around 1965. Somewhere I had heard a rumor that it had gone to Florida, but I was never able to find out anything else, until last summer, when I visited Mr. Becker's pride and joy, 4-8-4 locomotive 1501 in Michigan. At that time, the owner (private, not the Henry Ford Museum, where Becker donated it in 1973) told me that he also owned the #1500 switcher and three flat cars, that he bought (through Mr. Becker's help) in Florida (confirming my suspicions). Now, fast forward to September 5 of this year. The Phillipsburg Railroad Historians (PRRH) of which I am a member, had a special 20th anniversary of the club, Open House. This event featured a formal opening of a track extension of the C&S track to just over 1,500.' It also was the 70th birthday of C&S diesel locomotive #1502 and the 50th birthday of diesel locomotive #1503. also displayed that day was the original body of locomotive 1500, which is currently being restored in Michigan. Being that I have ridden that train since I was ten months old in 1953, I have taken particular interest in that locomotive. The photos of the body of this engine, show the words KEY WESTERN. After seeing that, I decided to play with Google to determine where the locomotive was, and who owned it in Key West. I found that it was owned and operated by Mr. Robert Castellano Sr, a former man in the Navy, near Higgs Beach on Key West. I found a photograph (attached) showing Castellano on this locomotive, taken in 1982. I have also attached a photo of this locomotive taken in Roseland, NJ, sometime before 1965. I continued my search, and have learned from his grand daughter, that the locomotive was given to him in approximately 1966 or 1967, by a very wealthy "millionaire." He operated it and gave rides to children for 25 cents until sometime around 1998. At that time, he was experiencing difficulty with skin cancer, and sold it for $5,000. cash. I tried to determine who the wealthy millionaire was that gave the locomotive to Mr. Castellano. I asked about Henry (Eugene) Becker, but I couldn't seem to get the family of Mr. Castellano to remember this name. Further study, led me yesterday, to the Monroe County Library in Key West, where I talked to local Historian Tom Hambright. He told me that Mr. Castellano was not the first person in Key West to have that train. He said that there was a Navy man named Quinby who had it in his backyard. He said that Quinby was in the Navy as an electronics weapon designer. He also said that Mr. Quinby used the train, because he developed railroad safety signals using it. He said that he was particularly interested in a riverboat called the Delta Queen. He said all his efforts want to saving that boat and a steam powered caliope. He implied that he left Key West to dedicate his time and efforts to saving her. That then led me to search about E.J. Quinby. Sure enough, I found that he was a Commander in the Navy, stationed in Key West. I also found that he lived in at least 1958 and 1959 in Summit, NJ. I found on Google, that he wrote several railroad books and books on interurban trolleys and streetcars. I found that he did have a miniature railroad modeled after a Ney Jersey trolley system, in his backyard in Yonkers, NY. He also has many patents, which include railroad signal systems. I confirmed his emphatic interest in the Delta Queen and the steam powered caliope. I also found, that you knew him well! So, finally, that is my question. Did E.J. Quinby own Mr. Becker's C&S switcher #1500 for a short time? Did he have it in Key West, or somewhere else. Did he in fact give it away to a Robert Castellano in Key West? If this is true, do you have any dates to confirm what I have determined so far? Can you lead me to any photographs of this train while it was in his ownership? Did Mr. Quinby know and share friendship with Mr. Becker? Mr. Quinby, also had a son who had a patent for a train novelty in 1951. Is it possible that his son owned the train? message: I am the gr-gr-great-granddaughter of John Bradbury who died in the explosion of the steamboat Jenny Lind on San Francisco Bay in 1853. I would like to be contacted by others interested in the history of this tragic accident and those with historic information or research to share. Thanks! visits: First time Editor's Note: if anybody has any info. for Claire, please pass it along! 2010/11/23 at 7:22 am | In reply to Robert Butterfield. I heard that the Delta Queen boilers are old and that is one thing they need to replace to go back to the rivers. What happened to the news that was breaking later today. Today is the 10th of December and nothing has been said? What is the latest? I want the Delta Queen back on the rivers. I miss her. 2012 is being mentioned for a possible Tall Stacks 12. She must be a part of the festival. I only hope that she does cruise the rivers again. Captain "Doc" Hawley hired me as a reservationist back in 1966. It was great seeing his name and the Delta Queen together again. I hope to see the day when the Delta Queen is cruising the Ohio. Hurray for Robert and Doc!! There are a lot of us ole "Steamboaters" around that are smiling right now!!! 2010/11/16 at 11:34 am | In reply to Robert Butterfield. Well . . . . any photographers out there have the photos? I will post them! 2010/11/16 at 11:33 am | In reply to Robert Butterfield. Thank you for your post. Many people in the steamboat community believe that voting out Rep. Oberstar will help.He was the stubborn chairman of the transportation committee who kept blocking votes. There is also a new chairman in the Senate. The boat's fate also hinges on completing the sale to a buyer who will fight for the exemption. 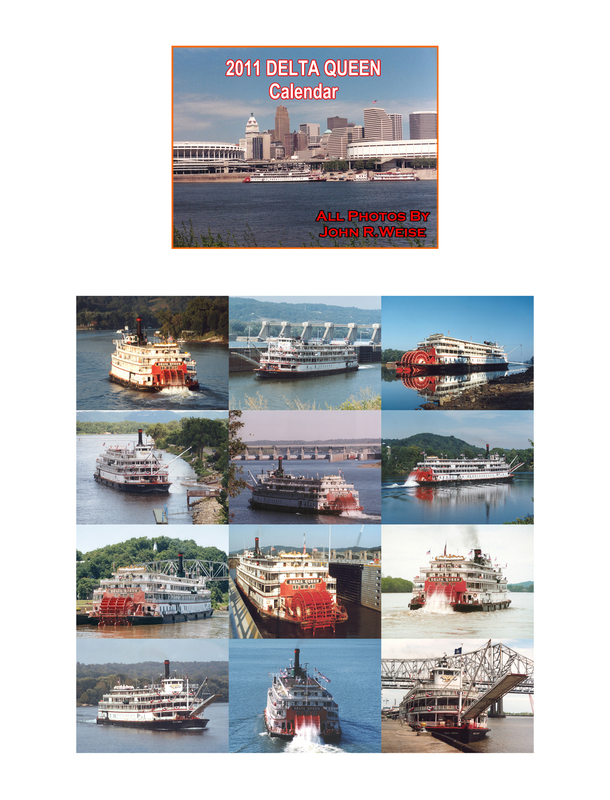 That was a fine picture exibit of pictures of the Belle of Cincinnati from a person following the boat. How about an exibit of pictures taken on the Belle of Cincinnati during the cruise to Chattanooga? In the paddlewheel exercise on the Delta Queen, was there anything learned about whether the Delta Queen might cruise again? Will the change of party in Congress help the Delta Queen to get an exemption to cruise again?